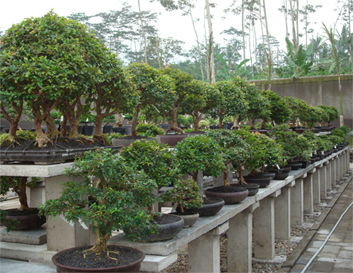 Indonesian authentic Bonsai are of a high standard, mostly found in the wild and well trained for many years before it became available for purchasing or even export. The rare species such as Syzigium, Durantha, Premna, Cudrania, Casuarina, Pemphis and Whrightia, but also Bougainvillea, Azalea, Juniperus, Ficus, Murraya, Ligustrum and others are mentioned on this website with it' s specific details. 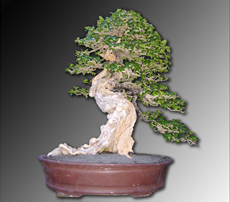 All products are at stock at Exotic Bonsai. 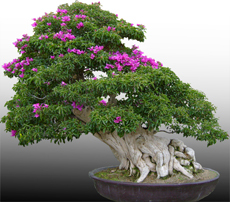 Azalea or Rhododendron is already used as a Bonsai for many centuries. In Japan, the United States, Europe and many other countries we can see Azalea Bonsai in a wide range of flowering colours, double colours, double flowers, etc. Azalea can have expansed roots, different styles and various sizes of leaves. The special soil for these trees, named kanuma, can give a better growing results. 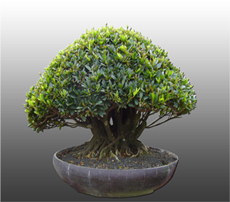 There are Azalea Bonsai both for indoor as outdoor use. This popular plant is cultivated in many tropical lands, often far from its original range, and in temperate countries where it is treated as a house plant. In the latter instance, however, it only flowers with difficulty. 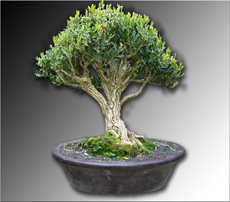 The various species of Buxus are widely used as bonsai in Europe, the United Statea, and China, but less frequently in Japan. Shows a very old bark if treated correctly. Prefers a loose soil, with Akadama or other Lava granite. 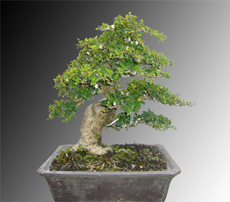 The Fukien-tea is a very well known Bonsai variety. It has hardy shiny leaves, sometimes with little black spots. The flowering is white. Small flowers at the end of the branches. Does not like to have different places to many times. Can be cutted and shaped easily and recovers quickly from hard cuttings. Must be controlled when kept as Indoor Bonsai and needs therefore attention. Tropical Bonsai. Often shows remarkable shari parts. Can be hold indoor without any difficulties, but requires a light and sunny place. Needs to be given much water and regularly bonsai-fertilizer. Be carefull with its hard needles on the branches. Prefers to be outside in the summer.